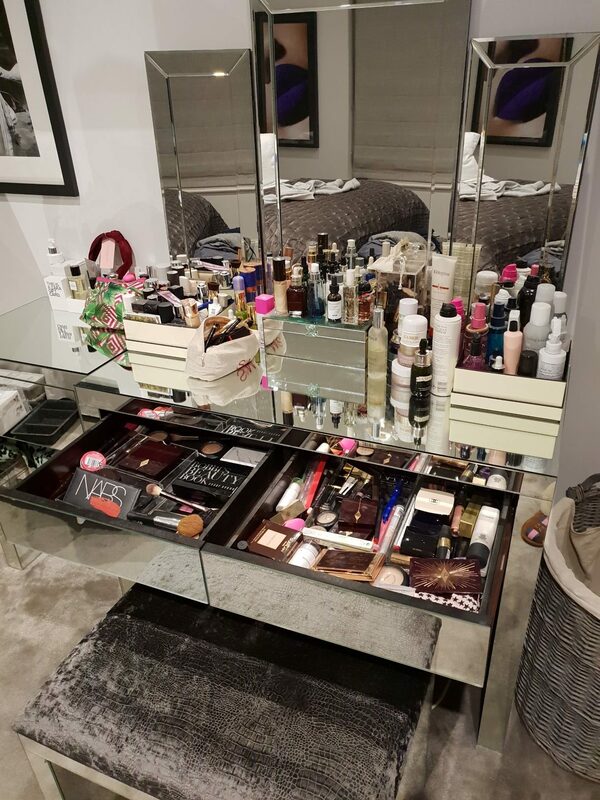 Organisation is definitely trending right now and what better time of year than to declutter and make space for every little thing. 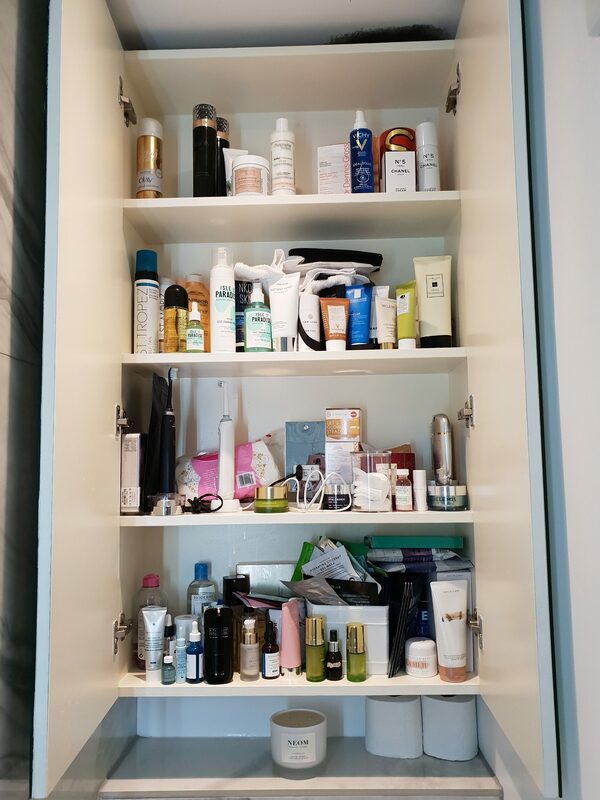 We’re becoming pretty good at it, but figured that the hardest thing to organise is definitely the beauty cabinet. That’s why we asked super mums and organisation queens This Is Mothership to give us some tips. “We now live in the Marie Kondo generation where clutter is out, and organization is in. I’ve always been really organised, and everything must have a home but my work wife/partner in crime Sam has other ideas and she falls more into the ‘gentle hoarder’ category. 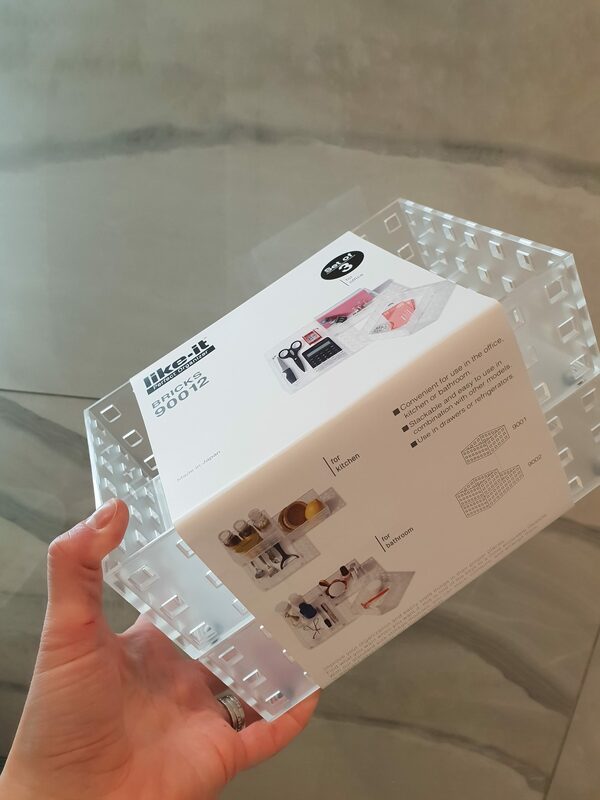 As part of her New Year’s resolution she wanted to become more organised, because ultimately being organised saves time, and as busy working mums, time is something we do not have enough of. The first step was to buy all the storage containers, which is where CollectPlus comes into play. As a busy working mum, it makes life so much easier knowing that you can order something from over 350 of the major stores such as Marks & Spencer, John Lewis and Very and get them sent directly to a collection location that is local to you. I chose these clear storage containers from John Lewis (£15) and had them delivered to Sam’s local newsagent. She pops in here all the time so it made it so much easier to collect it all in one go. There are over 7,000 locations across the UK including petrol stations, corner shops, supermarkets and shopping centres so there’s always bound to be one near to where you are. I also nipped to Ikea. It’s only about a 10-minute drive from me and I spend way too often there but the worst part is having to queue up and return items you no longer need. Little did I know that you can return Ikea items via CollectPlus! So, I went over the top and bought extras because I didn’t know exactly what we would need. Once we’d done all the organising, I then packaged up the bits we didn’t use and dropped them off at the newsagent at the end of my street. Game changer!! Step 2 was to get rid of excess. Things that you don’t love, use or need. 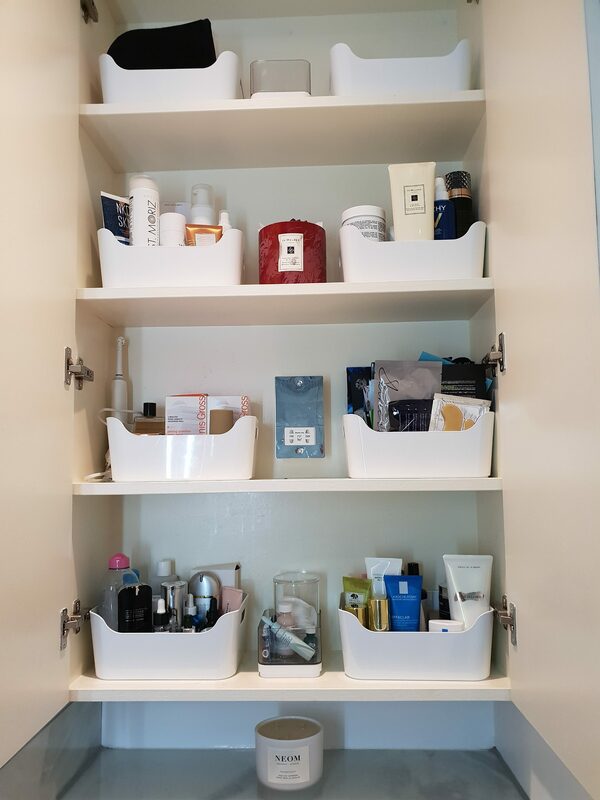 Step 3 was to work out what storage fitted where, and then put the items you love, use and need in the correct containers. 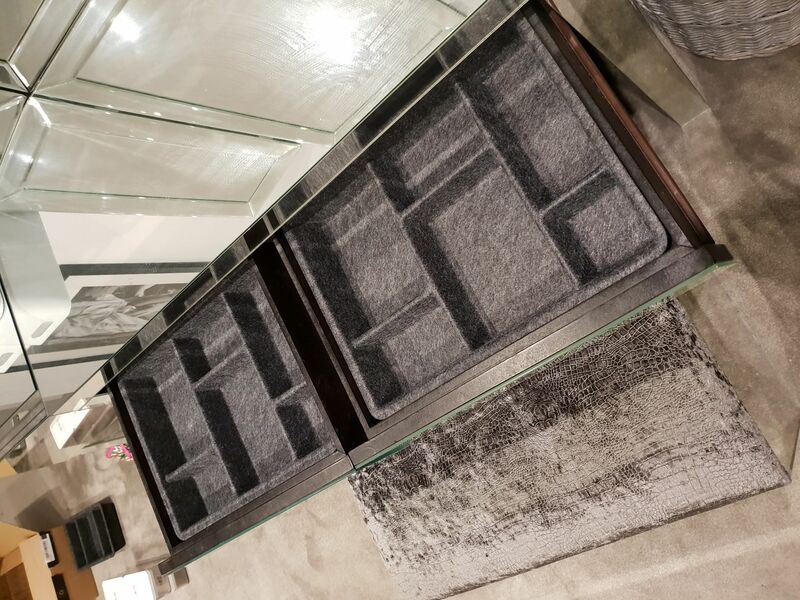 These grey trays (£8 at Ikea) are the most useful if you have a narrow drawer that needs dividers. 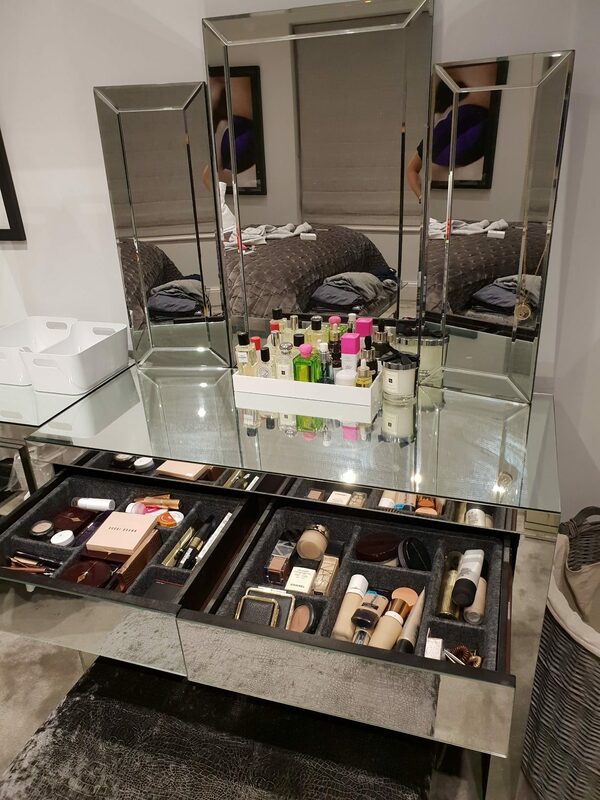 Organise your beauty cabinet (or anywhere in your home) with these great trays as recommended by Gemma and Sam.